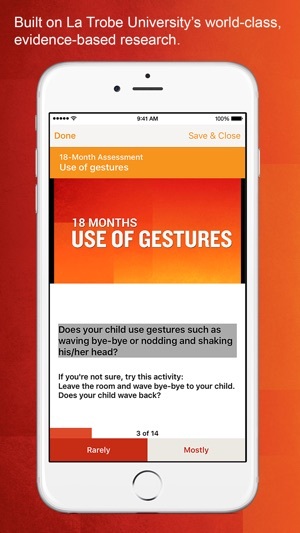 ASDetect is an early detection of autism app that empowers parents and caregivers to assess the social attention and communication behaviours of their children younger than 2½ years. world-class research conducted at the Olga Tennison Autism Research Centre. 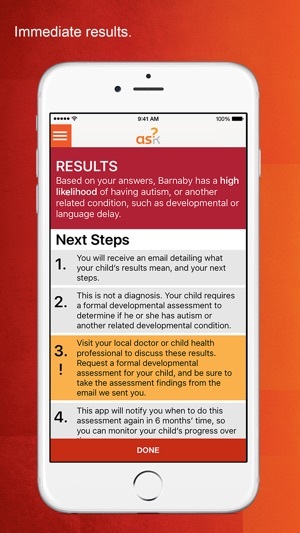 The research underlying this app has proven 81% accurate in the early detection of autism and other related developmental conditions. 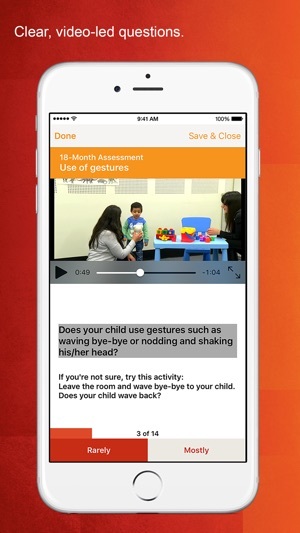 ASDetect guides parents through each assessment using a combination of videos and questions, as well as activities that they can do with their child. 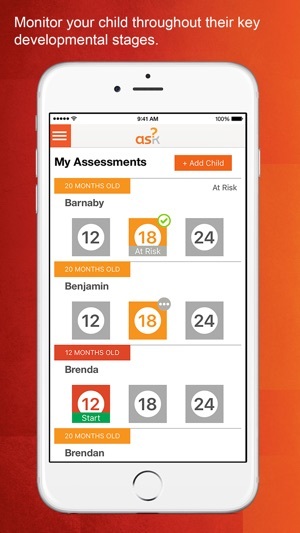 As autism and related conditions can develop over time, the app contains 3 assessments: for children aged 12, 18 and 24 months. Our developmental early detection program for infants and toddlers is the most effective technique available to professionals to monitor early signs of autism. We are now putting this important resource in the hands of parents and caregivers. OTARC is Australia's first centre dedicated to research on Autism Spectrum Disorders. 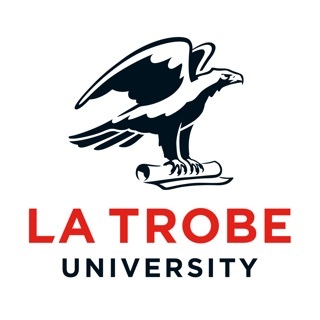 It was established in 2008 at La Trobe University to advance knowledge of autism, and to develop and study evidence-based strategies for supporting children with autism and their families. We are committed to helping families and early childhood professionals learn about autism, so we can make life-long positive outcomes through early detection, diagnosis and intervention for children with autism. 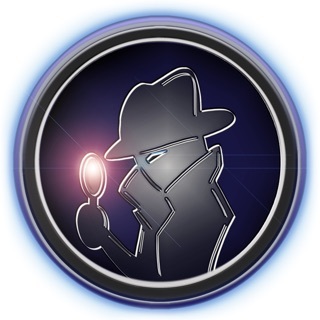 This is a really useful tool, however I keep having login issues (despite resetting password etc). Cannot view the results. 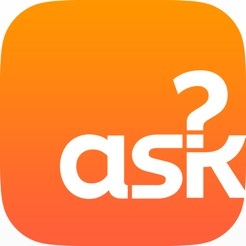 I keep trying to use the app- but it won’t show me any countries to select and can’t progress without this! 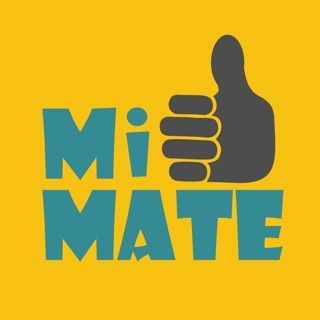 Thanks so much for creating a way for families with concerns about their children to check on things at home.